INL researchers from the group of Theory of Quantum Nanostructures have proposed a new type of spintronic device concept, based on ferromagnetic proximity effect in two-dimensional crystals. The INL researchers have modelled how the electronic properties of graphene bilayer change from conducting to insulating depending on the relative orientation of the magnetisation of two adjacent magnetic layers. 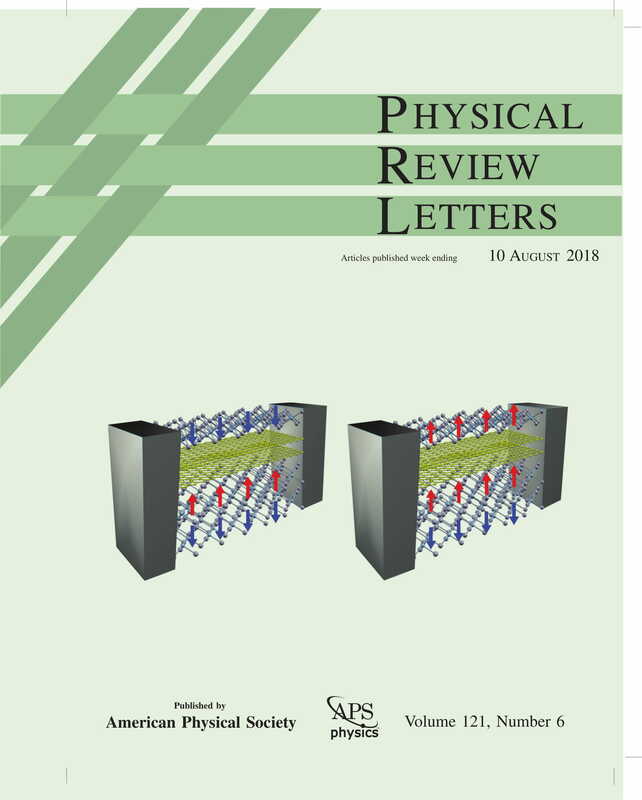 The results have been published in Physical Review Letters (PRL) and have been selected as Editors’ suggestion, making the cover for August 2018 edition. PRL is one of the worldwide most regarded journals on Physics by the scientific community, where only a minor fraction of the suggested papers are selected for publication by the Editors.